When you’re buying a drone, you never want to settle for second-best. But with so many quadcopters flooding the consumer market, it can be hard to know which ones are the best for your money. That’s why we’ve had our staff of qualified drone experts put together this list of the very best drones of 2019. For those who are still deciding which type of drone is right for them, read on! From micro drones to mid size drones to mighty heavy lifters, we’ve flown every quadrotor that matters and we’re ready to tell you our picks for the very best drones of the year. The following table shows the best drones broken down by price. Or you can scroll past to see our reviews for each of our top hex, octo, and quadcopters of the year. 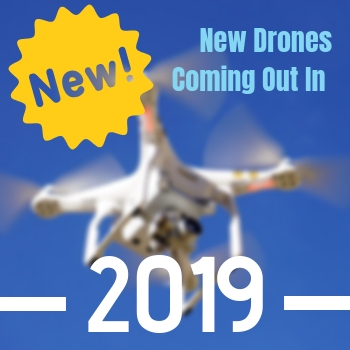 If you like our drone reviews, check out the bottom of this page to see what’s coming next in new drones for 2019! I recommend the Altair AA108, my favorite small drone. It can be purchased for only $129 and has a lot of cool features. It’s durable and can withstand repeated minor crashes. It comes with a 120-degree wide angle, 720P HD camera that offers real time first-person viewing during flight. The Altair AA108 is easy to fly and features headless mode, altitude hold, and a custom route mode, where you can draw a flight path on your smart phone and the drone will follow it! It also offers three skill levels for flight, from 1 to 3, or beginner to advanced. The first level is very kid friendly, giving the opportunity to pass the passion for flight on to the next generation. It’s small enough to be flown indoors, allowing for fun on windy days or just when you want to conveniently fly in the comfort of your own home. What makes the Altair AA108 one of the best 2019 drones is its long range and flight time. It can fly for up to 10 minutes and has a range of 100 meters. It also comes with a bonus battery so you can fly for even longer! Many drones in this price range offer only half the range and flight time. The Altair AA108 comes with an out of range alarm, an out of battery alarm, and an emergency landing function to prevent simple mistakes from becoming major crashes. The Altair 818 Plus quadcopter is a market newcomer, but it’s already set itself apart as one of the best. With a 15-minute flight time and an extra battery it you wonder why people buy other drones in its $180 price range that only fly for 5 to 10 minutes. The Altair 818 Plus drone has all the top quadcopter features that make a drone flyable for beginners and an absolute breeze for experienced flyers. There’s headless mode, which will prevent many a crash for new flyers, and low-signal and low-battery alarms to warn you before your drone becomes unresponsive to your remote control, or plummets out of the sky, which is one of the worst ways to crash. It has a low, medium, and high-speed flying setting which allows for more options to suit different flying styles and goals and accommodates varying levels of flying experience. It also has altitude hold, which is not only convenient for flying but makes for better footage. It comes with a 720P 120-degree wide angle camera and is first-person view enabled. Its rubber-damping camera decreases vibration for even more stable imagery. Combine that with its altitude hold feature and you get amazing footage and photos. Looking through its high-quality camera in FPV might just make you feel like you’re the one flying, and not just the drone. These features are what makes the Altair 818 Plus the best drone under $200. Get super fast shipping and amazing customer service by purchasing from the manufacturer’s website (click here). Or you can shop for the Outlaw on Amazon. This brand new drone came out just before the year’s start and has already cemented itself as a must-have item, offering innovative pro-grade GPS functionality at a fraction of the price. The Outlaw B2W has a long flight time and range, a GPS flight mode in which it automatically keeps itself stabilized, and a number of features that make it more beginner-friendly. These include one-touch takeoff and landing, automatic return to home, heading hold mode, altitude hold, and more. So whether you’re a first-time flier looking for a drone that practically flies itself, or an aerial photographer who wants the flight time and stability to line up the perfect shot, the Outlaw is an excellent choice and is sure to become one of the most popular GPS drones of 2019. 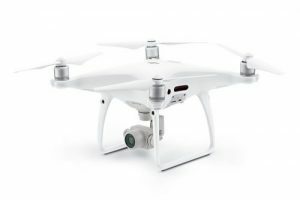 One of our favorite professional drones for 2019 is the highly advanced DJI Phantom 4 Pro. 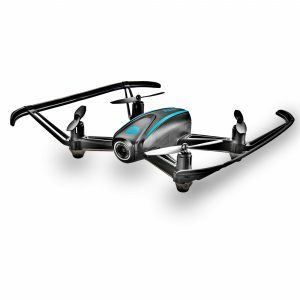 This mid sized rc drone has superior flying ability, with obstacle sensing in five directions that makes it nearly impossible to crash. Its radio controller comes with a mobile device holder to assist with its FPV capabilities. It has a range of about 3 miles (people have flown it even farther), it can fly at up to 45 MPH while still being easy to control, and has a flight time of up to 30 minutes. It weighs just over 3 pounds, a testament to the power of its motors, and an indication of durability. It also has a return home feature that uses GPS, so if you lose track of it, it can find its own way back. And it comes with 8 extra propellers. The best part of this drone by far is the camera which comes with a 16GB micro SD card. It has 20 megapixels and a massive 1-inch sensor. It has a mechanical shutter to eliminate the rolling shutter distortion that can happen when capturing images of fast moving objects. It has a 4k 60 FPS video camera for high video quality and the ability to capture magnificent slow-motion footage. 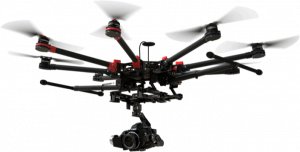 And last, but not least, this quadrotor drone has a professional-caliber gimbal for guaranteed stable footage. This camera drone is the best drone for 2019 because it can produce beautiful footage and pictures that any professional would be proud of. If ever there was a serious contender for Best Professional Drone 2019 it is the brilliant YUNEEC TYPHOON H. For a bit less money than the legendary Phantom 4, you get quite a few extras. The Typhoon H is 6 rotor drone so if you happen to lose one midflight you can safely fly it back on the remaining 5. Unlike the Phantom that pans up and down, the Typhoon can rotate the camera a full 360-degrees. The landing gear is also easily retractable so you can get it out of the way when necessary. Another great feature is the controls. The main control is a dedicated, full feature controller with a 7-inch touchscreen. You can also connect an additional controller if you wish. The Typhoon uses sonar for obstacle avoidance meaning this will work equally well at night. It also has a range of flight modes so you can let the drone do most of the thinking while you focus on shooting. While we love the AA1108, the very popular Hubsan X4 nano drone is a close runner-up in the best small drones 2019 category. To give you an idea of the palm-sized drone, it is a mere 2-inches wide by 1-inch tall. This dynamite little drone has plenty to offer. It has a host of features rarely found in drones in this price range. Like most small drones, it does not have the greatest flight time at only 7 minutes but you can pack a lot of excitement into that time. On the plus side, it only takes 15 minutes to charge so you will soon be up and running again. This is a great option for beginners or those on a tight budget. It has two flight modes, normal and expert. Once you have mastered the basics, switch to the expert mode and you will have access to a range of advanced tricks and options. 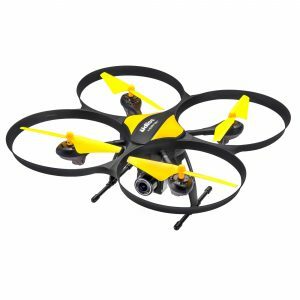 It is a sturdy, durable drone and will handle many a bang or knock when you are flying. If you are in the market for a budget compact drone, the Hubsan is a top choice. This well-priced feature rich drone is our pick for Best mini drones 2019. The already small design can be made even more compact as it is a foldable drone. Flight time is a fair 7 to 10 minutes and it takes only 230 minutes to charge. It supports FPV from your smartphone or tablet which is a great feature for a drone in this price range. It is also compatible with VR Goggles. The Rabling Mini also boasts a 6-axis gyroscope. Flight modes and features include headless mode, 3D roiling and 360-degree rolls so there is plenty to keep you entertained. It sports a competent HD 720P Camera. 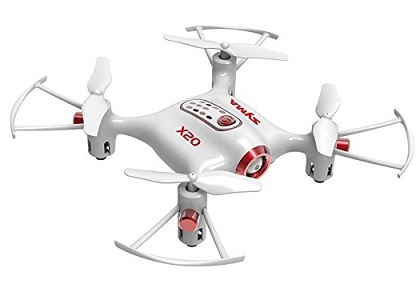 This is a popular and highly rated drone that is well loved by many happy customers. It is a worthy winner of our top mini drone for 2019. 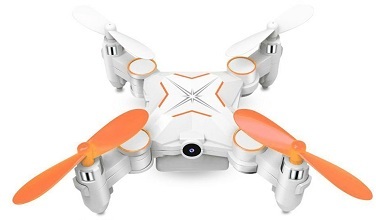 The Syma X20 is a worthy runner-up in our mini-drone section. 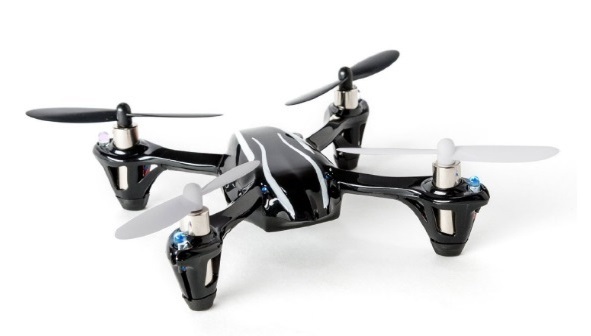 This highly affordable drone will provide hours of entertainment. Being an ultra-small drone, the flight time is only about 5 minutes but while you are up there, you can enjoy headless mode, altitude hold, rolling 360s and a range of other moves. It also has one-touch takeoff and landing so is ideal for beginners. Another excellent feature is the LEDs for nighttime fun. To top it off, it is a great looking drone. 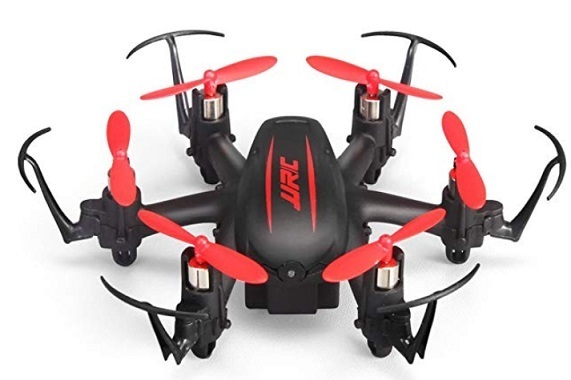 Our pick for the best Micro Drone of 2019 has to be the JJRC H20C mini hexacopter, one of the new drones from the extremely well-respected Jianjian Technology Company. It is highly affordable, ultra-small and light and will give you plenty of entertainment. Despite the diminutive size, it flies remarkably well and responds perfectly to controls. With headless mode and 3D rollover, you can have a lot of fun with this nifty drone. 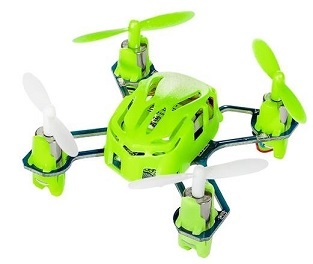 The 6-Axis gyro gives you exceptional stability and it will hover like a Hummingbird. Charge your JJRC DHD D1 QUADCOPTER via USB in around 20 minutes for about 6 to 8 minutes in the air. It has two adjustable speeds according to your needs. The range is around 60 meters which quite good for a micro drone. It is remarkably durable for a drone model of this size which is an added bonus and it features LED lights for evening entertainment. Possibly the world smallest drone, the Hubsan Q4 is a fast, agile and fun drone. Hubsan is known for quality products so, despite the amazingly small size and low price, this drone is remarkably tough. Interested in a tiny drone. Dronethusiast has other extensive reviews of drones in the indoor quadcopter category. It is suitable for beginners but will not bore the more experienced pilot with 3 modes from beginner to advanced. You can charge it via USB for 5 to 20 minutes flying time. It has a 6-axis gyro so is stable indoors and out. It is ultra-responsive and really nimble in the air. The Mavic 2 has a ton of innovative features including the most advanced obstacle avoidance system on the market, all theautonomous flight modes you could possibly ask for, a more efficient propulsion system with noise-reducing propellers, and the most advanced drone camera you can buy. But it doesn’t skimp on the small stuff either, with a 31-minute flight time, 8 kilometer range, and 44 mile per hour top speed. The Mavic Air has 8GB onboard memory and a stylish design. 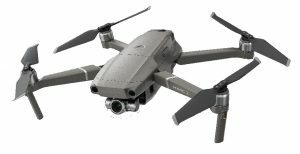 If you are wanting the best pocket / foldable drone of 2019, you will find it in the DJI Mavic 2. Don’t have two thousand dollars to drop on a Mavic 2? Don’t worry – not far behind for best pocket / foldable drone 2019 is the fun and unique Parrot Anafi. Until the Mavic 2 came along this was arguably the best portable flying camera around, and the Anafi is still a very entertaining and versatile foldable drone with features galore. With a 4K+ Ultra HDR camera, advanced GPS features, a 25-minute flight time, and a total range of 2.5 miles, this unique foldable drone has all the specs you could ask for at the (relatively) very low price of only $699. 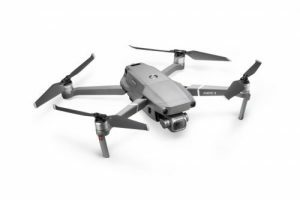 While there might be sportier, more compact options available, if you are serious about aerial cinematography, the Inspire 2 is a great choice and our pick for the best camera drones 2019. It is a sturdy yet agile flying machine that allows you to attach your own camera to your specifications. The Zenmuse is an exceptional camera for the money and you can upgrade it as necessary. The Inspire 2 is a safe and smart drone model that allows you to focus on flying, aerial photography or both. Apart from the actual camera, it also has an FPV camera so you can see what is going on as you shoot. The obstacle avoidance and features such as active track make it one of the easier drones for a one person pilot to get really good footage only. It is remarkably nimble for such a large, hardworking drone. It will give you professional quality straight out of the box. The 2 batteries will give you additional fly time and help you power all the smart options and equipment. 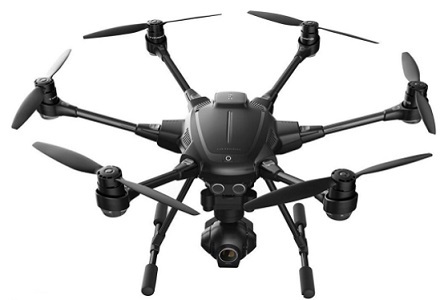 Runner-up for best camera drones 2019 is the popular Yuneec H520. With 6 rotors, a 360-degree gimbal mounted camera and a retractable landing gear, the H520 is a top quadcopter that even gives DJI a serious run for their money. The H520 has just over half an hour of fly time and has a great controller. The excellent obstacle avoidance and Waypoint technology make it safe and easy to fly, allowing you to concentrate on photography. The H520’s a little bigger than a mid sized quad, but this tough drone gives you a range of quality cameras to choose from. It is versatile and a pleasure to fly and operate. In the past year the 3DR Solo has become by far the most popular GoPro rc drone, and there’s no reason to think that it won’t remain the best drone for GoPro 2019. It’s compatible with any GoPro HERO model (or similarly-sized action camera) and can be used by just about anyone. This mid range drone is easy to fly (even if you’ve never owned a quadrotor drone before) and is highly maneuverable, making it easy to take great pictures and videos with your GoPro camera. It has an extremely stable flight pattern and good gimbal tilt control, especially for the price. It also has a long range, decent flight time, and – most importantly for any beginner – an extremely durable construction. 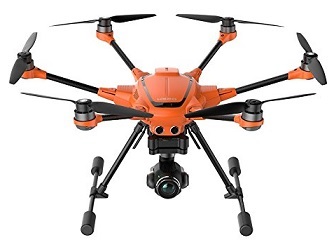 This is definitely one of the best drones for the money and a great choice for anyone looking to buy a great new drone in 2019. The best 2019 drone for those hobbyists who want to enjoy long range flight is BlackHawk Drone. It has a range of 300 meters. Unbelievably, this is a $119 drone, which means its range blows away the competition in that price range and many that cost more! 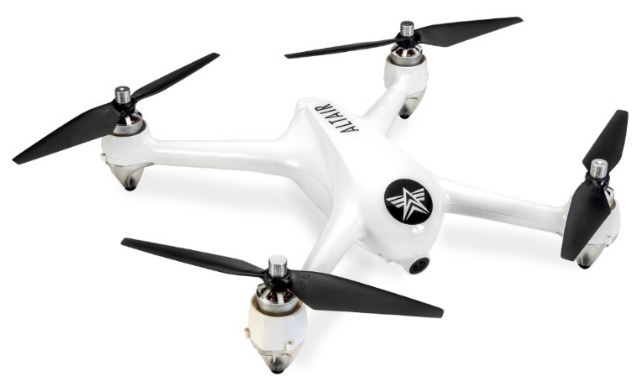 It also has a 15-minute flight time and comes with two extra batteries, allowing you to fully exploit its range, and enjoy it with friends and family who will all be able to take a turn flying it. The BlackHawk is an ideal option for action cameras such as the GoPro range. It is a safe an inexpensive way to get your GoPro in the air. Built for power and speed, the Blackhawk connects perfectly and easily to your action camera and you will have full remote control of both the Blackhawk as well as your GoPro. The controls are easy to learn and feature a high speed and low speed mode to accommodate flyers of all experience levels. The Altair Aerial Blackhawk automatically levels in wind to maintain stability. This drone won’t crash often, but it has a sturdy build and consumers report that it holds up incredibly well in crashes, should you make a mistake. It comes with extra propellers too, a must-have because propellers are the most easily damaged part. Ultimately, the BlackHawk has exquisite handling and highly responsive controls which makes for easy flying and allows you to do tricks like full 360-degree flips with ease. 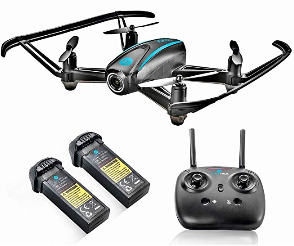 It really is a great value and one of the best drones for 2019. Sometimes you don’t want fancy tricks and features but a professional workhorse. Arguably the Best Heavy Lifting Drone 2019 is the Freefly Systems ALTA 8 UAV. Whether it is heavy camera equipment or a payload, this rugged powerful beast will get the job done. It can carry up to 20 lbs and will fly for around 10 to 20 minutes, depending on the load. This super-strong carbon fiber drone has SYNAPS Flight Controller for the ultimate in safety, precision and control. It is also fast and easy to setup this octocopter. It has a top and bottom camera mounting for flexibility of view. Second prize for Best Heavy Lifting Drone 2019 goes to none other than DJI. Constructed from carbon fiber, the Spreading Wings is strong and light. The 6 powerful motors give it incredible power and keep it agile. Despite the size and strength, it is still portable and easy to put together. It is a great combination of strength and speed. 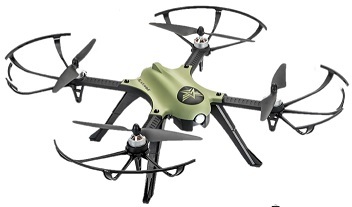 This reliable drone with good power distribution can carry up to 18 lbs comfortably. This is a widely contested segment and there were a number of options for Best FPV drones 2019. We went for a rather unusual but extremely entertaining first choice. The Parrot Disco FPV is a fixed-wing mid sized drone so it gives you a totally unique flying experience. The wings also allow it to get great speed and flying time and the Disco has a pretty good range. You need a fair amount of open space but apart from that, it is easy to fly, fits together quickly and easily and is really fun to fly, especially in FPV mode. Despite the design, it can still hover. The Disco has a 14mp camera and 32GB of onboard memory. The design makes it handle better than most drones in windy conditions. Our runner-up for Best FPV drones 2019 goes to the Hubsan H501S X4. This feature-rich drone is well-priced and looks great. It is made from ABS plastic making it light and durable. This drone has 120-degree FOV and dual GPS. Other outstanding features include follow me, altitude hold, headless mode, one-touch return, auto land and plenty more. You get amazing value for money with this excellent FPV drone. We often get asked some variation of “What’s the best drone for the money?” This top quadcopter is our choice for best drone for the money 2019. It also gets an Honorable Mention for Best FPV drones 2019 due to the features you get for the price. It is the ideal FPV drone having all the necessary features and then some. This durable drone with brushless motors has headless mode and lets you preset a flight path for a divine FPV spin. It is popular, easy to use and fun no matter what your level of flying is. Always innovating, always leading from the front, DJI has just released some fantastic drones but they show no sign of slowing down. One of the most talked about new drones coming out in 2019 is their faster, more powerful DJI Phantom 5. The Phantom 2, 3, and 4 were each the most popular (and arguably best) drone models of their respective years, so this new quadcopter is something everyone has their eye on. You can read everything we know about this exciting new drone by reading our article which covers all the news, leaks, and rumors here. Another much anticipated Upcoming Drones in 2019 is the HD Racer from Yuneec. For less than $200, this fast and nimble drone will sport 4 protected blades and shoot 1080 video at 60 fps, perfect for FPV. It is compact and has a beginner mode if you are still learning. Yuneec has a great reputation for making new drones, so it will be interesting to see what this prosumer company does in the small drone space with their new quadcopter. One soon to be released new quadcopter drone that impressed many at the last International Consumer Electronics Show is the Oori by Uvify. This tiny micro drone is capable of speeds of 60 mph. 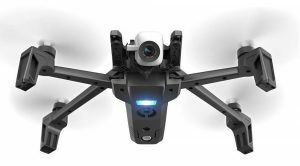 The company says it will sell the drone for a reduced price during the preorder period, then change the price to a little under $400. Might not be a bad idea to take advantage of this deal, but always be cautious when you’re pre-ordering new quadcopters sight unseen. 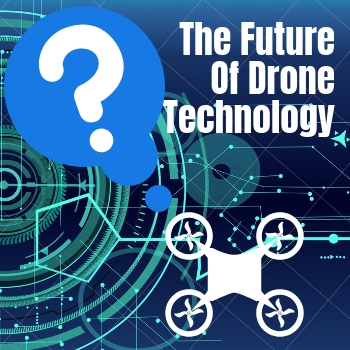 We can only imagine what new drones are going to look like, but the technology are evolving and improving rapidly and show no sign of slowing down in 2019. As the technology improves, rc drones become more intelligent. They are getting smaller, faster, safer and stronger. One area that is improving significantly is obstacle avoidance technology. This has huge implications for the hobby flyer as well as commercial drone applications. It creates new opportunities for the pilot to focus on other activity without having to worry too much about flying the UAV. Drones are becoming more specialized and more intelligent. Connectivity is also improving. Regulation is not going away but it is getting faster. Systems are in place to get approvals in seconds that used to take months. We will see more commercial applications and humanitarian drone use. There are drone taxis being successfully tested. Artificial Intelligence or AI will be used with drones opening up even more opportunity. 2019 promises to be an exciting year in the drone business. Newcomers to the drone hobby always want us to just tell them which one to buy. Unfortunately (or very fortunately, depending on how you look at it) it’s not that simple. The modern drone market is full of hundreds of different types of drones specifically suited to different purposes. That’s why we have separated our article into different categories based on price and function. Additionaly, there are a bunch of great RC Boats for sale out there as well. Which drone is best for photography? The DJI Inspire 2 is overall the best drone for photography you can buy in 2019 (so far). The Phantom 5 may dethrone it in the professional space. Of course, the Inspire 2 is far too expensive for anyone who isn’t a professional photographer. For those who are looking for the best photography drone under $500, we strongly recommend the Altair Aerial Tomahawk, or perhaps the 3DR Solo. What is the best camera for a drone? GoPro HEROs are the most common, but check out our complete guide to drone cameras to learn more. What is the best drone to buy for beginners? The AA108 and the Outlaw are two great beginner drones, but most of the small, mini, and micro drones listed above can be flown by a beginner. How far can a personal drone fly? How far can a small drone fly? Usually a small personal drone can fly a few hundred meters away from the transmitter. The more expensive the drone, the farther it flies. How much weight can a drone pick up? Most drones can’t lift very much weight at all, but drones designed for heavy lifting can usually carry 20 kilograms or more. What is a good range for a drone? 300 Meters or more is generally considered a good range for a drone. What drone has the best flight time? A lot of people want to know how long a drone can fly without recharging. A new drone, the DJI Mavic 2, currently has the best flight time of the prosumer market with over 30 minutes per battery. How much do drones cost to buy? Usually between $100 and $1000 USD, depending on the quality of the drone and the number of features on offer. 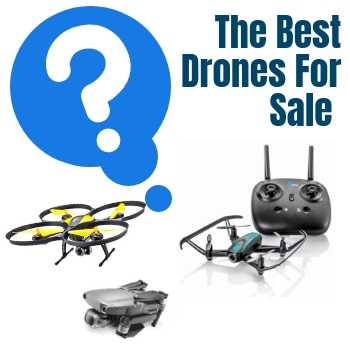 We have a couple drones on this list (usually mini or micro drones) that can be found for under 100, and some of the high-end models may cost well over $2,000. What is the most expensive drone, you might ask? That would be either of the heavy lifting drones, which usually cost $10,000 or more because they’re designed for enterprise use. Are drone batteries allowed on airplanes in 2019? In terms of domestic flights within the U.S., you are generally allowed to take up to 3 batteries in your carry-on luggage provided they are below 100-watt-hours each. You should always advise them you are carrying drone batteries to avoid complications. For international flights, the rules can vary. It would be best to check the airline’s website for specifics. Are there drone delivery services in 2019? Drone deliveries have been tested and successful commercial deliveries have been completed. The technology is in place but there are still a few teething problems. Although many companies, including Amazon, Google, UPS, DHL and many others have programs in place, they are not yet running regular drone delivery services yet. Has there been any changes to drone registration in 2019? Drone regulation was reinstated at the end of 2017. The good news is that the process is fairly fast, can be done online and costs $5. Are there new 2019 drone flight regulations that have been added? Apart from registration, there are a number of regulations. The main points are that the pilot must be more than 16years of age and the drone must be less than 55lbs. You may not fly over people or highways, you must always have line of site with the drone, not faster than 100 mph or more than 400 feet above sea level. There are also regional restrictions which vary from state to state. What is the future of drones in 2019? Drones will continue to evolve and develop and become more intelligent. New features will continue to be added. They will become smaller, faster and safer. Obstacle avoidance technology is improving. The greatest growth will be seen in commercial applications including security and agriculture. Will definitely buy the DJI Phantom 4 as my second drone! I love how long the Phantom 4 is with me! Having it to document our trips and adventures adds up amazement whenever we take a look back to reminisce everything. More like a shopping list with detailed and in-depth reviews of each item, sweet! I have my Inspire 2 for 6 months and I’ve never disappointed my clients with the documentations I’ve made. Great list you have here! How cool it is to use drones for deliveries in the future. It’s exciting how drone features just keep on getting better. Keep us updated! I need to upgrade my drone, thanks for this detailed list. Will use a drone too soon! DJI Mavic Air is the one for me! I’m really impressed with its features. DJI Mavic Air is really worth it to have I am amazed in its specification and the features as well. Correction: AGL (Above Ground Level) You previously stated MSL (Above Sea Level) restriction is 400’ feet. That is not correct. The restriction is 400’ AGL.